The countdown is on until the arrive of our second child and I feel so prepared yet unprepared. I needed a break from the stressful stuff and as a result I dug into something sweet! I bring to the table a recipe, for cookies, who doesn’t like cookies? 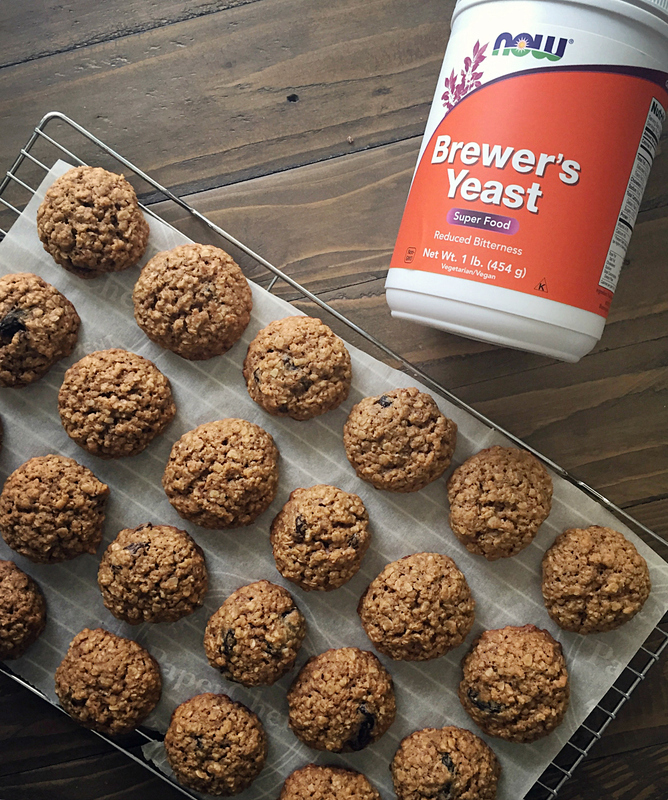 These aren’t just any cookies though; these are lactation cookies! I had poor milk production with my son, it was actually depressing and as a result took away from the joys of being a new mother. I struggled with pumping, feeding, pumping, feeding, and so on. It was never-ending, I felt so overwhelmed and almost defeated. So many new mom’s struggle with this problem which is why I wanted to share my recipe. 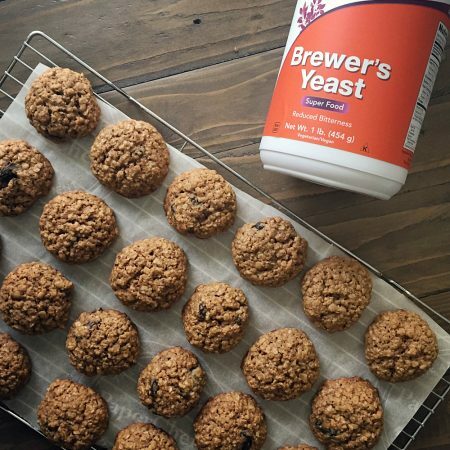 I plan to be prepared this time around, with an arsenal of natural boosts, most of all, these cookies. They freeze well, whether you are freezing either the dough or baked cookies. They also last quite some time in the refrigerator. I suggest eating 4 a day if you are looking to maintain production, two in the morning in addition to two in the evening. If you are looking to increase production eat 6 a day, two in the morning in addition to two in the afternoon and two after dinner. This recipe makes approximately 2 dozen cookies. I got over 40 cookies out of this recipe as a result of making the balls a bit smaller. Therefore, larger balls will yield less cookies and smaller more cookies. Preheat oven to 350° and line your baking sheet with parchment paper. In a large bowl, combine your dry ingredients except sugar, and mix well. Set aside. In a separate bowl combine your butter and sugar, mixing until smooth and fluffy. Then add in the remaining wet ingredients and mix well. Combine the wet ingredients with the dry ingredients and mix well until combined. Next, fold in your raisins and or chocolate chips. Roll your dough into balls and place on baking sheet about an inch apart. The amount and size of cookies depend on the amount of dough you use per ball. Finally bake for 11-14 minutes, until the edges are golden brown. Let cool on baking sheet for 5 minutes and then transfer to cooling rack until completely cool. Keep in the fridge and take as you need or store in the freezer up to 8 weeks. If freezing use a freezer bag or an airtight container. Did you struggle with milk production? Will you be trying this recipe? Let us know in the comment section below! Nicole-Marie is a stay at home mother to two children. She can’t imagine life without her family, they are what keep her going every day! You can find her sharing great recipes on her Facebook Page, The Body Love Revolution. You’ve got a good recipe here and it’s really nice that they’re made to help because it’s nice to feel like you’re getting a treat but that treat has double duty.